When you order bulk meat, you're ordering a whole/half/quarter beef, or a whole/half pork. This is different from ordering by the cut, which you can do any time using the links at left! Possibly Everything You Wanted To Know, and Then Some! Thank you so much for your interest in bulk meats from our small family farm! We offer bulk Beef, Pork, and Lamb. Contact us to confirm dates and details: 219-253-8491 or email joanne@holycowfarmfresh.com. Then visit our online store to make a deposit or click--> make a deposit. Read about our farm practices to understand how we raise our grass-fed beef. Also, some of the following could be available in a quarter: Liver, Tongue, Heart, Brisket, Flank Steak, Skirt Steak, OxTail. Please keep in mind, this is a list of typical cuts from a quarter of a beef. Every beef harvested is different, and may not exactly match this list, but this is a ballpark estimate. And if you want ½ or Whole, just figure accordingly. You do have some options when you choose your cuts: some cuts may be bone-in or boneless; you may pick the thickness of your steaks (we get 1 inch to 2 inches for our retail sales); you may pick how you want it packaged (vacuum-sealed packages like we sell or the cheaper white paper packaging; you may choose how many steaks per package and how many pounds of burger per package; you may give up your ribeye steaks for a prime rib; AND, if there are any cuts that you do not want, you may choose to have those made into ground beef and just have more ground beef. Buying bulk beef is cheaper, and you have more choices to get exactly what you want. =) And, no worry. Our next grassfed beef will be harvested in February. Contact us for more information: 219-253-8491 or joanne@holycowfarmfresh.com. I am going to give you the “ball park” numbers for an average beef. Please keep in mind that each animal harvested is different, so weights may be more or less. Heavier cattle will cost more with more meat and lighter cattle will cost less with less meat. On average, a 1/4 beef comes out to about 150 pounds hanging weight. On our bulk beef, we charge by the hanging weight. Our current hanging weight price for a quarter is $4.50/lb. A deposit seals in your price though for the next processing date. So you are looking at around $675 for the meat, then you add the processing fee. The processing fee for the beef varies based on the amount of patties you want or any other packaging preferences. We will work with you to walk through the cutting sheet to make sure that you get what you really want. Processing for a quarter beef is usually close to $125 or so. So that is a grand total of $800. A half of beef would be less than double this, a whole would be less than four times this, because the price is lower for a half and lower yet for a whole beef. With a hanging weight of 150 pounds, usually the actual amount of packaged beef that you take home is somewhere around 65% of the hanging weight. Once again, it depends on your cutting preferences, bone in or bone out, etc. But as an average, you would be taking home around 98 pounds of meat. So based on our last beef as an example— that comes out to about $8.16 per pound of actual meat (cheaper than the retail cost of premium ground beef! ), ranging from filet mignon, ribeyes, t-bones to hamburger patties—1/4 of all of the cuts that are available in a beef the way you want it cut and packaged. Or if you don’t want the roasts and other cuts you can make it into premium hamburger! Wow, what a deal! And the quality blows the grocery store meat out of the water, and you know where it is coming from. When it comes to freezer space needed, plan on around 4-6 cubic feet of freezer space per quarter of beef, and also 4-6 cubic feet of freezer space for a ½ of hog. Read about our farm practices to understand how we raise our pastured pork. stew bones, hocks (fresh or smoked), neck bones (fresh or smoked), and fat for rendering are all optional, available if you want them. All of these cuts can be sacrificed, if you prefer to have more sausage or ground pork. Next harvest date will be Late Summer. Contact us for more information: 219-253-8491 or joanne@holycowfarmfresh.com. Here are the “ball park” numbers for an average pig. Please keep in mind that each animal harvested is different, so weights may be more or less. On average, a 1/2 pig comes out to about 90 pounds hanging weight. On our bulk pork, we charge by the hanging weight. Our current hanging weight price for a half is $3.95/lb. A deposit seals in your price though for the next processing date. So you are looking at around $355.50 for the meat, plus processing fee. The processing fee for the pork varies based on the amount of sausage and smoked meats you want or any other packaging preferences. We will work with you to walk through the cutting sheet to make sure that you get what you really want. Processing for a half pig is usually close to $110 or so. So that is a grand total of $465.50. With a hanging weight of 90 pounds, usually the actual amount of packaged pork that you take home is somewhere around 65% of the hanging weight. Once again, it depends on your cutting preferences, bone in or bone out, etc. But as an average, you would be taking home around 58 pounds of meat, double that for a whole. So based on our last pork as an example—that comes out to about $8.02 per pound of actual meat (less than the cost of ground pork! ), ranging from bacon, ham, pork chops, ribs, premium sausages and other cuts—1/2 of all of the cuts that are available in a pig the way you want it cut and packaged. Or if you don’t want the some cuts you can make it into premium sausage! And, we use our all Natural Sausage Seasonings, with NO preservatives, just real ingredients! Wow, what a deal! And, if you want to save more money, a whole pig is even cheaper. And the quality blows the grocery store meat out of the water, and you know where it is coming from. Levi, our 16 year old son, has been raising his own lamb, and it will be ready to harvest!! The lamb has been exclusively Grass fed and Grass-finished, eating only pasture grasses and hay. Levi has raised a Katahdin breed of sheep, which is a hair sheep. He is excited about sharing his lamb offering with you! His next lambs will be available in the Spring. What’s in a half lamb? What’s in a whole lamb? Please keep in mind, this is a list of typical cuts from a lamb. Every lamb harvested is different, and may not exactly match this list, but this is a ballpark estimate. You may pick how you want it packaged by either the vacuum-sealed packages like we sell or the cheaper white paper packaging, you may choose how many chops per package and how many pounds of ground per package, AND if there are any cuts that you do not want, you may choose to have those made into ground lamb. Buying bulk is cheaper, and you have more choices to get exactly what you want. =) And, no worry. 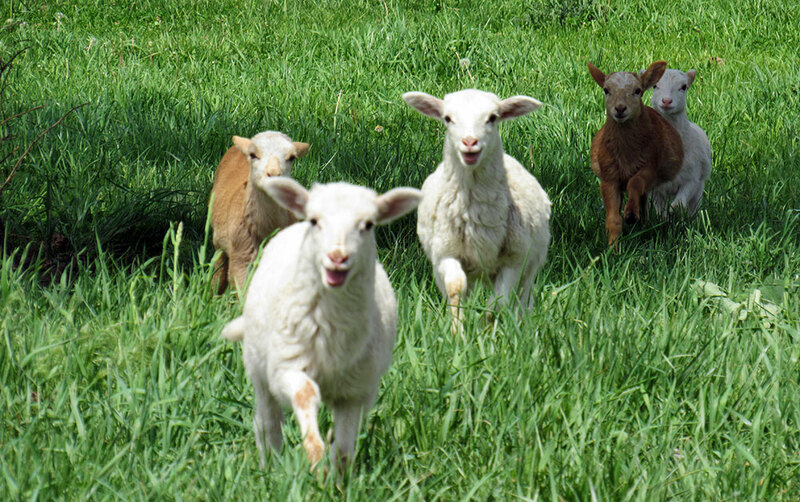 Levi's grass-fed lamb will be harvested in the Spring. Here is a “ball park” numbers for an average lamb. This is the first lamb harvested from our farm, so we do not have this down to a science yet. Please keep in mind that each animal harvested is different, so weights may be more or less. Heavier lamb will cost more with more meat, lighter lamb will cost less with less meat. On average, a half lamb comes out to about 25 pounds hanging weight. On Levi's bulk lamb, he charges by the hanging weight. His current hanging weight price for a half is $6.00/lb. A deposit seals in your price though for the next processing date. So you are looking at around $168.75 for the meat, plus the processing fee. The processing fee for the lamb varies based on the amount of patties you want or any other packaging preferences. We will work with you to walk through the cutting sheet to make sure that you get what you really want. Processing for a half lamb is usually close to $38-50, depending on if you want the meat vacuum-sealed. So that is a grand total for our example with paper wrapping would be $206.75. A whole lamb would be less than double this, because the price is lower for a whole lamb. With a hanging weight of 25 pounds, usually the actual amount of packaged lamb that you take home is somewhere around 70% of the hanging weight. Once again, it depends on your cutting preferences, bone in or bone out, etc. But as an average, you would be taking home around 17.5 pounds of meat. So based on our lamb example — that comes out to about $11.81 per pound of actual meat. And the quality blows the grocery store meat out of the water, and you know where it is coming from. And, you help to reward a Levi for his hard work and investment! We do have a variety of beef, pork, and chicken in our freezer here at the farm. We offer a 15% discount from retail prices for all bulk orders of 100 pounds, which is similar to the discount you get with a 1/4 beef or ½ of hog. But, you can mix and match the cuts and get a variety of different meats, instead of just beef or pork. You just send a list of the cuts you want from our inventory list that is available on our website, and we send you an estimate of the cost. Or, you can order 100 pounds online, and we subtract the discounts before we finalize. We are a small farm and not fancy, but we are transparent. We want you to know who is growing your meat, where it is grown, and how it is grown. If you want to proceed with bulk beef or pork, let me know and we can reserve one for you or put together a bundle package of meat for you. 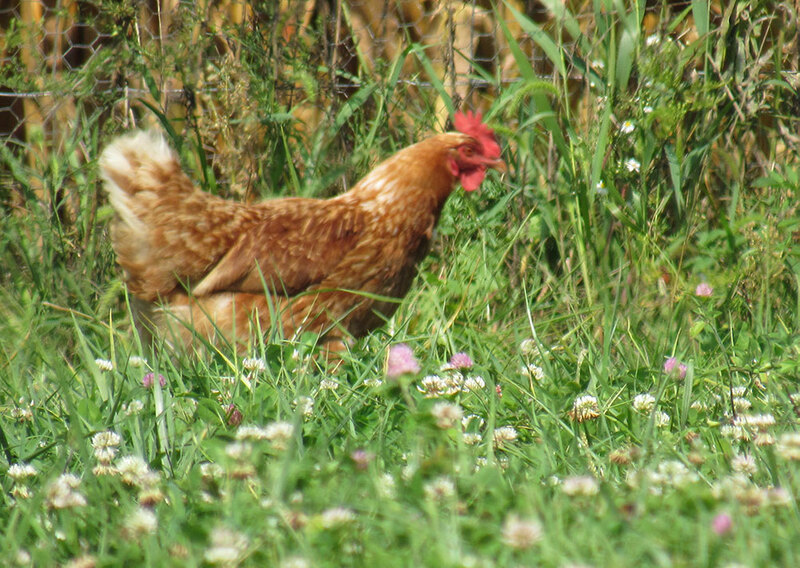 Give us a call: 219-253-8491 or email joanne@holycowfarmfresh.com. Thanks a Million & God Bless! Visit our farm store or order online for delivery to Lafayette, West Lafayette, Zionsville, Carmel, Whiting, & Valparaiso, Indiana!